how can i get rid of my spider and varicose veins? 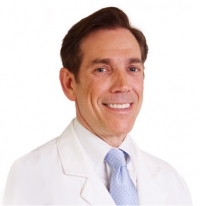 » Watch Next Video by Louis Prevosti, MD - How do I keep my blood vessels healthy? How can I get rid of my spider and varicose veins? Well, first step in treating your varicose veins and spider veins is to seek out treatment by a vein specialist. When you go to a vein specialist office, you will be evaluated by a doctor. Notice the techniques in treating these conditions, as well as getting ultrasound, specifically, color duplex ultrasound, which is key in determining the underlying cause and developing a treatment plan. Once the information is gathered, your vein specialist will lay out an individual plan that may include endovenous laser ablation, radio frequency ablation, ambulatory microphlebectomy, or sclerotherapy, or surface laser therapy to help you get rid of your problem.